I was so excited to read Kara Isaac's debut novel, Close to You, and I was definitely not disappointed!. The cover and story description are very intriguing, and who can resist a novel set in New Zealand? I must admit, I'm about as familiar with Tolkien's works as Jackson (one of the main characters) was, but the story is so well-written that it didn't matter that I'm Lord of the Rings and Hobbit challenged. If I hadn't known, I would never have guessed it's a debut novel, because it is so creative and engaging. It is also extremely well-edited, which I appreciated. Kara Isaac is a fantastic wordsmith--the story pulled me in immediately, flowed seamlessly, and tickled my funny bone with laugh-out-loud situations. I loved the witty and clever dialogue, and the characters were so genuine, likeable, and endearing that I hated to let them go at the end of the book. I'm hoping Kara is a fast writer, because I'm anxiously looking forward to more of her books! 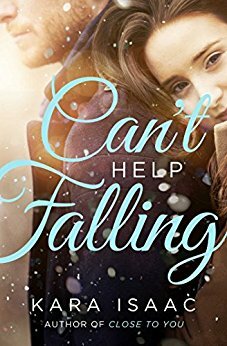 After reading Kara's debut novel, Close to You, and I couldn't wait to read her second novel, Can't Help Falling. I love the unique and creative way she has incorporated Tolkien's Lord of the Rings and C.S. Lewis's Narnia books into her stories. The setting of Can't Help Falling had me traveling to jolly old England right along with Emelia Mason to meet up with Peter Carlisle in Oxford. These two main characters are very realistic and relatable. Their flaws and personal mistakes make them so human and lovable that the reader laughs and cries right along with them. Kara Isaac's quirky, sometimes snarky, but always fun sense of humor adds so much to the story and makes for some laugh-out-loud scenes and visual images. She has quickly become one of my favorite authors. I'm not very familiar with C. S. Lewis's books, but I was able to follow along well. I'm sure those who have devoured the Narnia books would catch more of the meaning and essence she has woven into the story. 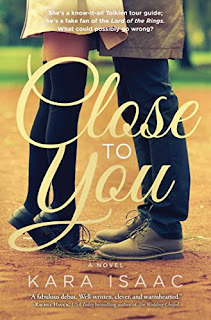 This book can stand alone, but reading Close to You first might enhance the enjoyment of it, as there are some characters from it that make an appearance in Can’t Help Falling. 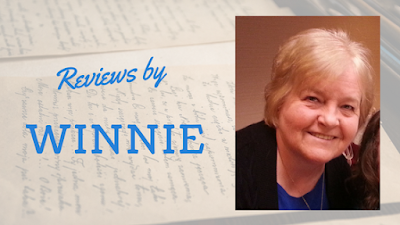 This is a Christian fiction book with themes of redemption, forgiveness and hope winding through it. Emelia Mason has spent her career finding the dirt on the rich and famous. But deep down past this fearless tabloid-reporter façade, there's a nerdy Narnia-obsessed girl who still can't resist climbing into wardrobes to check for the magical land on the other side. When a story she writes produces tragic results, she flees to Oxford, England--home to C.S. Lewis--to try and make amends for the damage she has caused. Peter Carlisle was on his way to become one of Great Britain's best rowers--until he injured his shoulder and lost his chance at glory. He's determined to fight his way back to the top even if it means risking permanent disability to do so. It's the only way he can find his way past failing the one person who never stopped believing in his Olympic dream. When Peter and Emelia cross paths on her first night in Oxford, the attraction is instant and they find common ground in their shared love of Narnia. But can the lessons from a fantasyland be enough to hold them together when secrets of the real world threaten to tear them apart? Cobblestone streets, an aristocratic estate, and an antique shop with curious a wardrobe bring the world of Narnia to life in Kara Isaac's inspiring and romantic story about second chances. I voluntarily reviewed a complimentary copy from the publisher, under no obligation. All opinions are my own. I've certainly heard enough good things about them, but as usual I'm woefully behind! Thanks Winnie! I’m behind as usual. But these look sooooo good! Hobbits? Yes! Narnia? Yes!